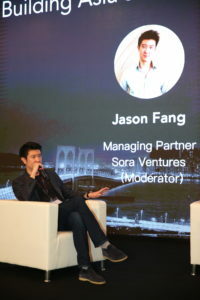 “Hong Kong’s blockchain community is still relatively small” compared to other places, stated Sora Ventures managing partner Jason Fang on the sidelines of the two-day Sora Summit in Macau, the firm’s first conference on Asia’s blockchain ecosystem. Sora Ventures was founded in February this year. It is an Asia-based venture capital firm focusing on blockchain companies, cryptocurrency and digital asset investments, with business in Hong Kong, Taiwan and the United States. Expectations for blockchain technology are high, with the global market for blockchain-related transactions predicted to reach US$2.3 billion by 2021, according to market research firm Statista. While many ventures hope to grab a slice of the market, many might also struggle to put their blockchain innovations to real-world use, suggested other research. According to a recent global survey from business services company PwC, 84 percent of executives asked, said their companies were somehow involved with blockchain technology. Nonetheless, only 15 percent of those firms involved, had their blockchain projects as live operations. The rest remained at either the research, development or pilot stage. 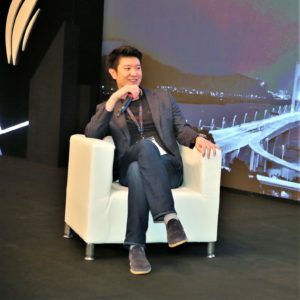 “A lot of use cases we see, at least from the past years, are all proof-of-concepts, some of them launched to impress investors,” suggested Sora Ventures’ Mr Fang in an interview with Innovation Hong Kong. One factor hindering blockchain-utilising products and services from going to market had been the low adoption rate by businesses of the underlying technology. One impact of that was – on the tokens side – a limit to the universe of token holders. Mr Fang said that – having had years of experience in venture capital funding of blockchain-based companies – he believed investors were putting too much focus on the infrastructure of blockchain technology. Investing in adoption was also necessary, especially when the overall investment market outlook was bearish, and the industry was craving consumer uptake. “It [blockchain] doesn’t rely on spending tens of thousands of U.S dollars to incentivise developers to build on your protocol. Adoption works best if you already have an existing product that has an existing user base,” the executive explained. “You can build the most robust infrastructure but if no one knows about your product, then it is basically zero [in economic value],” Mr Fang noted. “Investing in adoption buys us time for the entire industry.” The sooner adoption grew, “and more adoption we see, the faster our industry will grow,” he added. Mr Fang further noted that the gap in adoption could be filled by “providing a large user base with small amounts of token that can be used within the product through minting or mining”. A faster way to increase adoption, he believed, was through conducting reverse initial coin offerings (ICOs). In the same vein as a reverse initial public offering (reverse IPO), a reverse ICO involved “an existing company launching a token as a strategy to grow its existing product, user experience, and user base,” explained Mr Fang. The method had been well demonstrated at Kik, a South Korean messaging app operator that raised nearly US$100 million via an ICO last year for its own “Kin” token, in attempts to stay competitive in the face of competition from WhatsApp and LINE. The Kik social media app hoped to ‘tokenise’ its platform in order to shift from the traditional advertising-supported approach to a decentralised platform that could in turn facilitate innovation in its revenue-gathering and general business model. “If you’re able to convert your existing user base to token holders, then you’ll immediately get a token-holder community,” said Mr Fang. “It enables an existing product to convert its user base to token holders which strengthens the community, and therefore lowers the investment risk,” he added. Cryptocurrency – a key focus of the venture capital firm – still needed a boost in Hong Kong, Mr Fang noted. “We still haven’t seen a Hong Kong project get into the top 100 in CoinMarketCap.” The latter is an index ranking cryptocurrency in terms of market capitalisation. Hong Kong regulators recently began governing crypto-asset activities via regulatory frameworks. The Securities and Futures Commission (SFC), for instance, rolled out this month a set of regulations on cryptocurrency exchanges and funds that invest in virtual assets. Mr Fang agreed that the regulatory framework had improved a lot in the city, but more needed to be done in terms of getting support from the established financial system in order for a crypto-asset ecosystem to achieve the scale to make such business more useful and more powerful. “Crypto exchanges still have issues with banks at this point. It’s not as robust as we think. That is an area that requires some form of commitment from the Hong Kong Monetary Authority or the SFC,” he cautioned. The relative weakness of the relationship between banks and crypto-exchanges and crypto-businesses was a gap in the ecosystem and hence was impeding blockchain technology from becoming part of the financial mainstream. “Banks spend so much money dealing with regulators; and it’s inefficient, costly and timely. Distributed ledger technology can improve a lot of the issues here,” suggested Mr Fang. Unlike China’s monolithic banking system, Hong Kong’s financial system by nature offered more flexibility when it came to creating a bridge between conventional banking and the crypto-assets market, in order to benefit both sectors. “In China, banks will not necessarily use blockchain but explore and learn from the architecture of blockchain and distributed ledger technology. Hong Kong might have more flexibility, but it doesn’t need that form of technology as much as China does,” said Mr Fang. This was because China had a “very centralised system, where only the top five to six banks can go through each other, all the other banks have to go through the central bank, and that can create a lot of inefficiencies,” he added. The advent of regulation marked “a big change for any form of crypto or funds or investing in crypto, including ICO and Security Token Offerings,” Mr Fang observed. “When I started Sora Ventures there were really not many lawyers that understood cryptocurrency and knew how to manage a crypto fund. Nowadays I think it has gone a lot more professional,” he added. Although blockchain was still playing catch-up in terms of finance business, Mr Fang remained optimistic regarding development in Hong Kong of blockchain and cryptocurrency business, supported as it was by tightened regulations and improving knowledge in terms of digital asset capital management.